Professor Yunwoo Jeong (front row right) and his design team will design autonomous vehicles for the iGeneration in collaboration with Hyundai Motor Group. A new project, dedicated to design autonomous vehicles for future generations, has officially begun. Presented by Hyundai Motor Group, this has been the only industry-university cooperation project that involves exterior design styling and UNIST design team will take the lead. The School of Design and Human Engineering at UNIST has announced on April 9 that its design team, led by Professor Yunwoo Jeong has been selected to lead the exterior styling of Hyundai Motor’s autonomous vehicles. Under the theme of ‘Exterior styling of autonomous vehicles for i-generation’, the team will carry out the project over the course of eight months, starting this April. The term ‘iGeneration‘ refers to future generations born between 1995 and 2012, who have been brought up on mobile technologies, like smartphones and social media. Herein, the team plans to design the exterior of autonomous vehicles that reflect the lifestyle and culture of this generation. The team will collect and analyze hash tags, mainly used in social media, and will work on exterior designs for autonomous vehicles, while looking at the design concepts that match the keywords that reflect this generation. The industry-university cooperation project, announced by Hyundai Motor Group selects one university per theme. 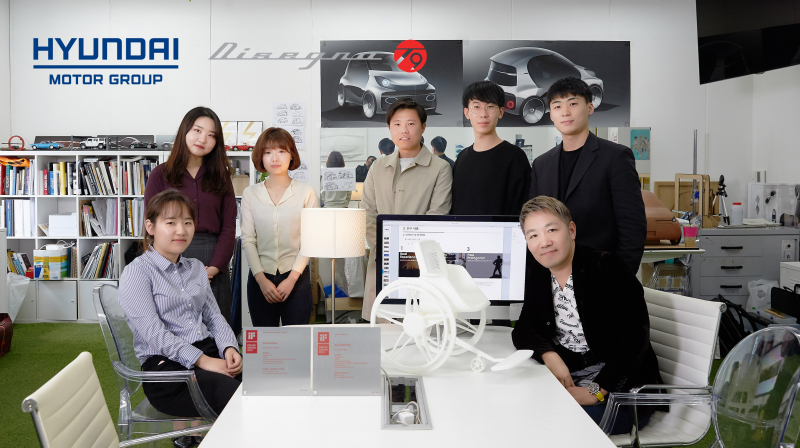 Thus, UNIST caught the public eye by being selected to collaborate with Hyundai Motor Group in the field of exterior design for their autonomous vehicles, instead of art colleges. Besides, Professor Jeong and his design team has won a 2019 iF Design Award in the Professional Concept―Mobility category for their innovative mobilty concept, namely ChaiseClaire. 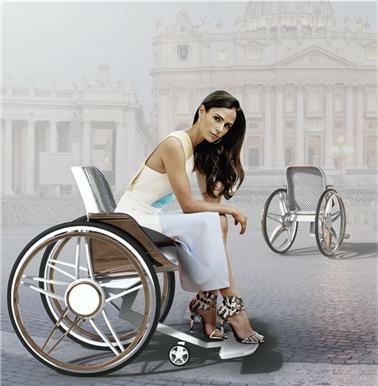 received the coveted German iF Design Award for the design of their innovative mobilty concept, namely ChaiseClaire, which is a new form of transportation that revolutionizes the existing heavy duty manual wheelchairs. The in-wheel motor assists the movement of the wheelchair when the user pushes the wheel. The overall weight of the ChaiseClaire is very light because it is a combination of graphene and mesh material. The seat is made of a fabric mesh for ergonomic comfort as well as aesthetics. The concept image of ChaiseClaire. The team has plans for mass production of ChaseClaire with the aim of launching in 2021. To this end, they are working on the design of the ChaseClaire‘s inner workings, considering its ergonomic form and assembly structure. The motor to be mounted inside the wheel helps the user to reduce the force. They also simulated the behavior of people using wheelchairs in order to learn more about the centre of gravity and the factors, affecting stability. Meanwhile, Professor Jeong is also well-known for designing of S. Korea’s first driverless bus, namely ‘Zero Shuttle‘, currently operated in Gyeonggi-do since 2018. In 2017, he also designed a hybrid module mobility, a modular four-wheeled electric bicycle in collaboration with Mando Corp. , Ltd. Professor Jeong also received numerous design awards for presenting the design concept, entitled ‘Hyperloop System Innovation’ that envisions a future Hyperloop Station. Thus, in 2016, in collaboration with LG Electronics, he also embarked on the development of robotic baby crib, entitled ‘Baby King‘ and won the 2016 Spark Product Design Award.